Ale is made with the top fermenting yeast in warm conditions while the Lager is made with bottom fermenting yeast in cold conditions. You can drink gallons of the stuff and get minimal to no hangover. To stop the contents becoming light struck. We were feelin' right when we left there. We had a great time and stayed for a couple of beers even after the tasters that are included in the cost of the tour. And this is just a taste of the beguiling tidbits imparted on the tour. The experience is rated 4 and above on all platforms, you will certainly not want to miss it. 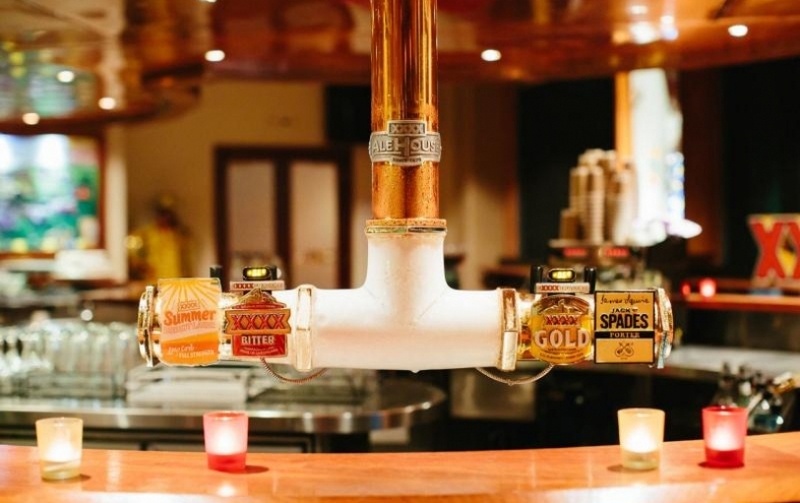 Then sample some of the finest beers in Queensland, and learn how to pour the perfect glass. We highly recommend you book your tour in advance as we are currently are receiving a high level of advance bookings some entire days may be booked out completely. 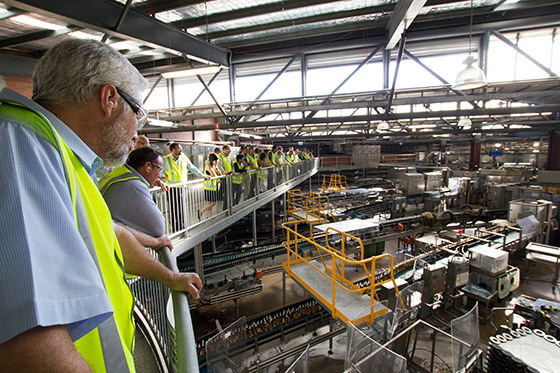 Most weekdays, you can enter the Packaging Hall to marvel at the state-of-the-art packaging line. 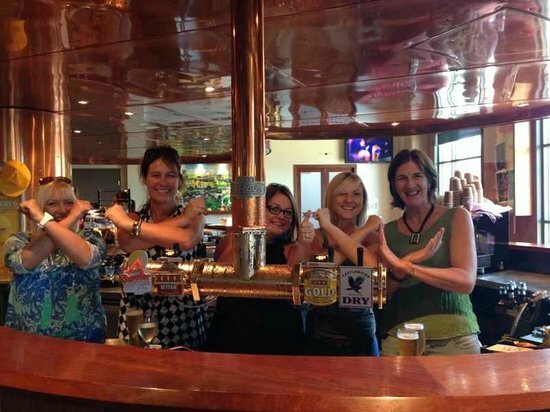 The Breakfast Creek Hotel rejected the new-fangled steel kegs and remains the only pub in Brisbane to have wooden kegs. When the brewery became a public company in 1887, shares were oversubscribed by 60 per cent. See the raw ingredients that make up the brews, and walk through the heart of the production area to see the process up close. We then hung around the restaurant to try our free beers and get a bite to eat - try the oysters and the steak! The second time was just lunch again with out of towners and a pitcher of specialty brew. You can't drink before the tour for liability reasons, so we just killed some time browsing in the shop. The Brand has been known since 1924. Watch thousands of beer bottles whiz past you on a distribution line; most breweries don't allow you to get this close! Experience the inner workings of this heritage brewery, explore the story of beer, and gain an insight into the 140 year history of a Queensland icon. We had a lot of fun here, would highly recommend. Their menu includes a variety of pub-style meals, some with a beer-flavoured twist. Flash forward 135 years or so, and a visit to the brewery is your ticket to a rich taste of the science, art and heritage behind these truly great beers. Your guide greets you in the brewerys visitor center. This tour is so worth doing. Now, for those of you who are not aware of what ale is, then you certainly cannot call yourself a beer lover. And this is when the name becomes clear. You can't drink before the tour for liability reasons, so we just killed some time browsing in the shop. We love beer, and we had an absolute ball. The Fitzgerald Brothers, Edward and Nicholas moved from Castlemaine in Victoria to Brisbane and founded the brewery. The video jukebox is free so put on whatever you like. Watch thousands of beer bottles whiz past you on a distribution line; most breweries don't allow you to get this close! Mr Fourex is familiar to anyone who grew up in Queensland. We had a lot of fun here, would highly recommend. We will go back- probably with more visitors since the venue seems to be impressive for tourists. See the raw ingredients that make up the brews, and walk through the heart of the production area to see the process up close. The tour is very professional an you get to see the whole process from the fermentation tanks to the packaging. We were feelin' right when we left there. You can drink gallons of the stuff and get minimal to no hangover. Work continued on improving the drop and eventually, it was awarded a fourth X. The brewery had a few other firsts as well. Enjoy an introduction to the history of beer making, and learn some of the brewery's techniques. The visuals continue with an entertaining 12-minute video on the origins of the Castlemaine brewery, its founders and master brewers. Local bottlemakers kept the shape. Most weekdays, you can enter the Packaging Hall to marvel at the state-of-the-art packaging line. Afterwards, since we were on our honeymoon they surprised us with a bag of free souvenirs to take home! Reviews Excellent Great iconic brewery in suburban Milton. He was recognised as a Queensland icon by the National Trust in 2004. Afterwards, since we were on our honeymoon they surprised us with a bag of free souvenirs to take home! The video jukebox is free so put on whatever you like. Our tour guide Daniel was very informative and a really cool guy. The video and short documentary presentation at the start of the tour were good. Although our guide Ross was very good. This was a great idea for a gift for my father and father-in-law to experience together. Food was great - sweet potato fries were especially yummy: all reasonably priced and good- nothing mind blowing, just good. The tour is very professional an you get to see the whole process from the fermentation tanks to the packaging. 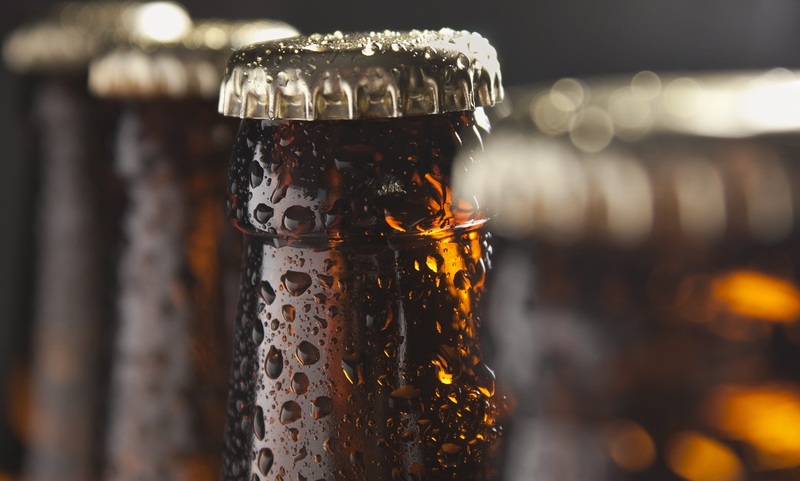 Learn the origins of beer and brewing, and how to pour a perfect glass for yourself. The beer tasting was excellent. Once you start, you get a pretty full tour of the brewery, they really take you to a lot of different areas, so you see all the machines at work. They have a really nice gift shop too with a bunch of cool Tee's that we each purchased and have since wore out. Cartons of stubbies roll off the assembly line. Made for a really fun dinner, they took us behind the bar to show us the proper way to pour their beers, as well. It only takes one letter to spell beer, X times 4. The Castlemaine Perkins Brewery was established at Milton, just west of Brisbane city, way back in 1878. Afterward, learn to pour yourself the perfect beer before delighting in a sampling session as you taste the diverse brews. Our tour guide Daniel was very informative and a really cool guy. And this is when the name becomes clear.